They say the rains are a comin’ to Vancouver this weekend. It might rain more in the next two days then it has rained all summer. And I’ll be taking a long weekend in Victoria while my wife is in Seattle. Ha. Ain’t that the way. 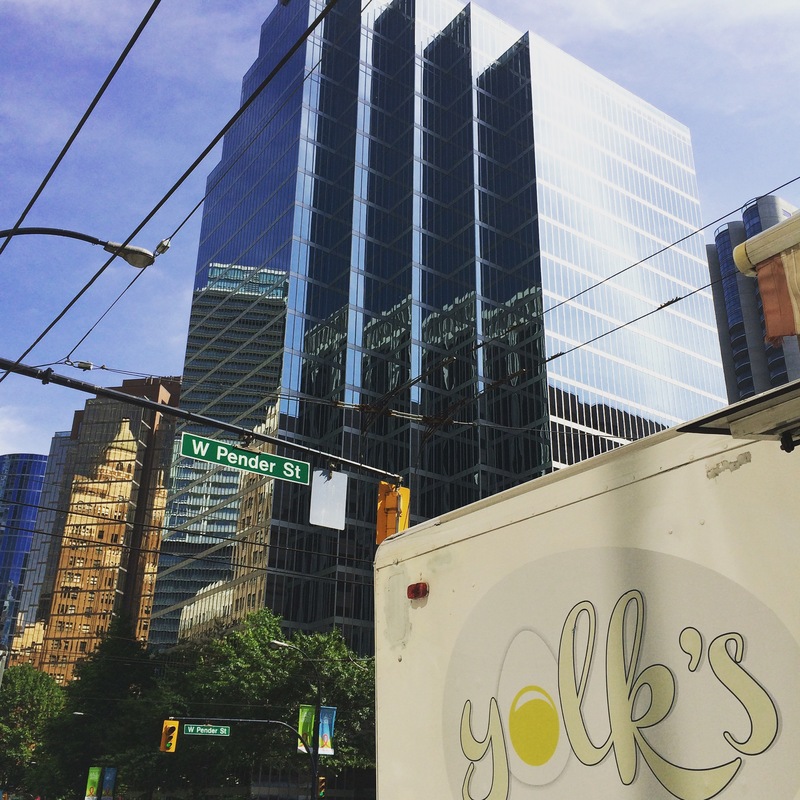 Decided I better get after THIS day as best I can with a Yolk’s food truck poached egg and seat with a view on the street. Hey Music Blog reader… Jamie and I have been working on a new webseries taking you on a tour of Vancouver’s fine craft breweries. I’d love if you took less than 3 minutes to watch this. Maybe even share the video? Views are good. Thank you! Tomorrow will see new records from Carly Rae Jepsen (who I kinda love right now) and Atlas Genius. Ms Jepsen doesn’t have her new single on Soundcloud which is a major bummer. But Top 40…you know? I’ll take this remix. It bangs. If there is any justice in this world, Carly Rae Jepsen will have the biggest pop record of the year. Atlas Genius channels a little Imagine Dragons with this cut from Inanimate Objects.